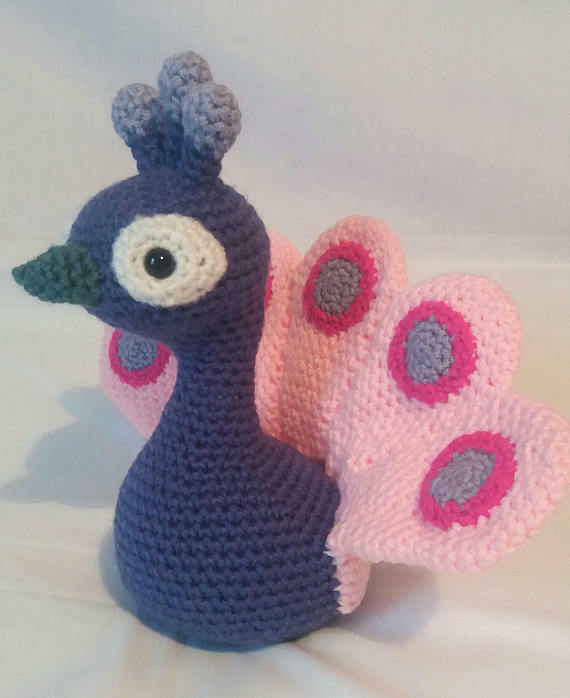 This stunning Crochet Peacock is hoping to impress you with his plumage! 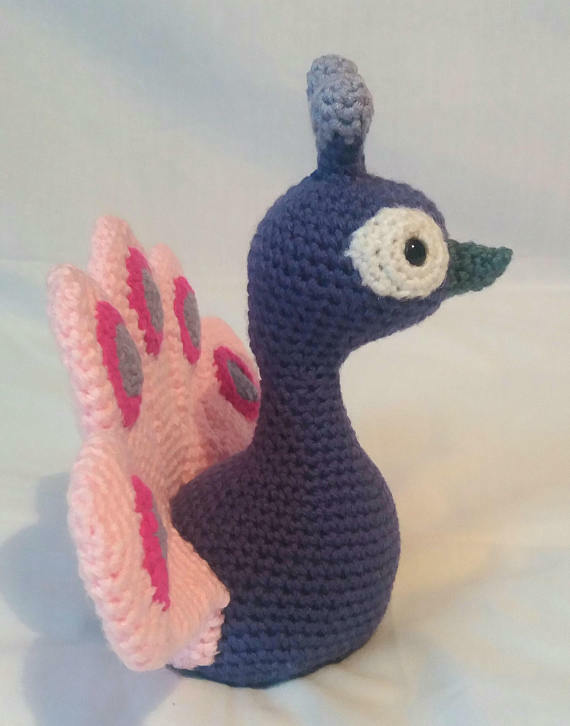 Made in double knit acrylic yarn, this peacock has stunning hues of purple and pink…just to make him stand out even more! 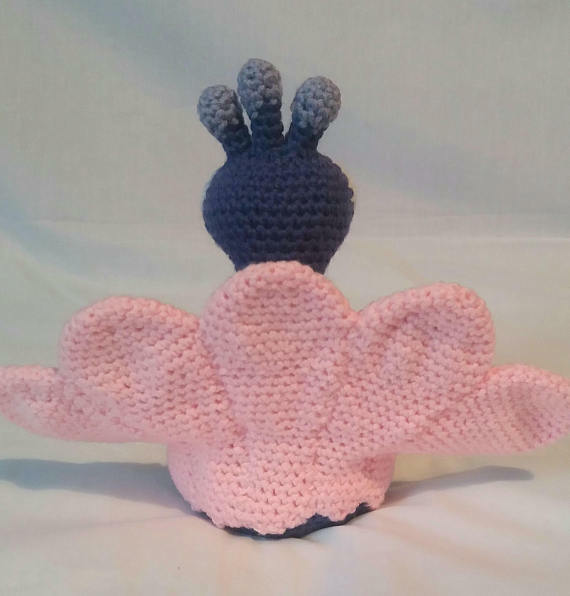 He would be a lovely gift for any peacock, bird or crochet lover! He measures approx 20cm tall and 22cm wide.